In conjunction with War Resisters’ International in London, we have embarked on researching the enormous WRI archive held in Amsterdam by the International Institute of Social History (IISG). The archive occupies 63.3 meters of IISG shelf space, with spill over material in approximately 12 other IISG archives. The purpose of our project will not be, of course, to post anything or everything, but rather to make a selection of material that demonstrates the influence of nonviolence on the early 20th century peace movements, and vice versa, especially the period c. 1910-1950, that is, from the years leading up to WWI, to the aftermath of WWII. For each of the articles that follow we have provided notes and in some cases prefaces to help make the material more accessible. Each article also contains a “Reference” to the location of the material at IISG. Our Pacifism Editor, Gertjan Cobelens, is in charge of the project, and correspondence may be sent to him via our contact page. Hatred is in the air and impatient lovers of India will gladly take advantage of it, if they can, through violence, to further the cause of independence. That is wrong at any time and everywhere, but it is more wrong in a country where fighters for freedom have declared to the world that their policy is truth and non-violence. Posted on 29 September 2016 under Gandhi, Satyagraha, WRI/IISG Project. At the centre of Gandhi’s many concerns about social and political issues, there are two things that remained consistently predominant throughout his life. 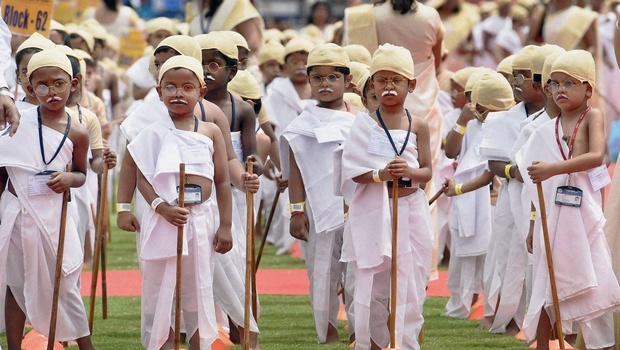 Firstly, a revolt against the education system that was given to, nay, imposed upon India by the colonial rule; and secondly, a powerful urge to find an appropriate approach and method of imparting education to all the children and adults of the country. Posted on 4 March 2016 under Education, Gandhi, WRI/IISG Project. 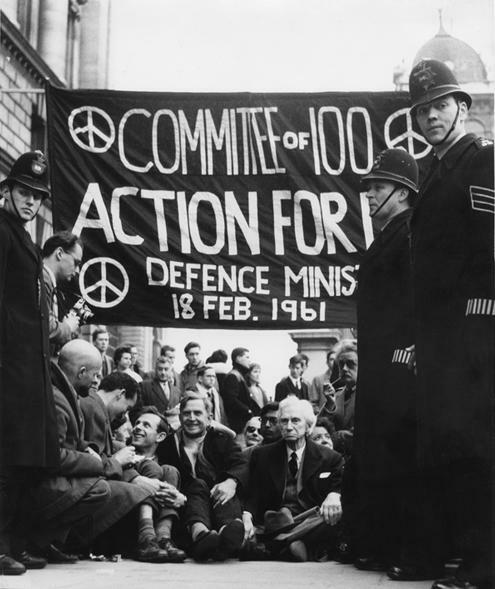 To begin with I shall discuss some of the commonly used terms in connection with nonviolent action against oppression, and which are often mistakenly understood to be the same as the Satyagraha practiced and advocated by Gandhi. This is to try to point out the differences between the concepts these terms represent and how they are not quite the same as the concept of Satyagraha. These terms are passive resistance, non-cooperation, direct action, civil disobedience and non-resistance. 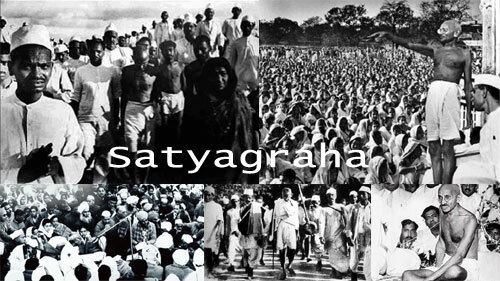 My aim is not to minimise, even to the slightest degree, the merits, uses and strength of these methods, but to point out that in contrast to any of them Satyagraha is a complete philosophy, as well as the technique of fundamental social change. 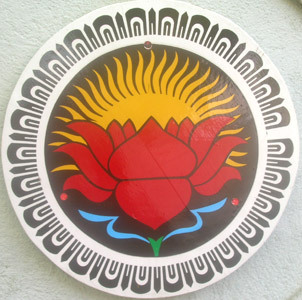 Whereas the philosophy of Satyagraha implies a holistic approach to both long term as well as immediate issues facing humankind, the practice of the above-mentioned concepts is, by definition, limited to particular situations without being necessarily related to other social or political problems. 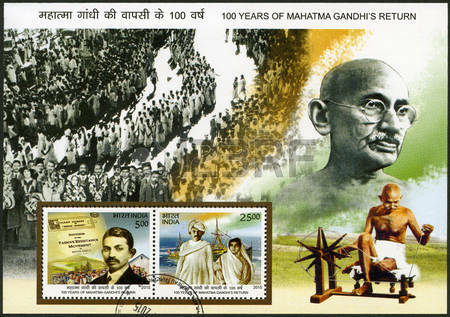 Posted on 22 February 2016 under Gandhi, Satyagraha, WRI/IISG Project.